Council | What The Sooke? As part of their review of the issue of secondary suites in single-family homes (also known as basement suites, in-law suites, rental suites, etc. ), The District of Sooke is forming a Secondary Suites Advisory Committee and needs volunteers from various neighbourhoods in Sooke to come forward to share their views and make recommendations to town council to help them craft any future legislation regarding suites. Secondary suites are a necessary housing option, especially in a town like Sooke where there are very few purpose built apartments. They also make the dream of home ownership more attainable for the average family. However, regulations need to be in place for health and safety, nuisance, and taxation purposes. If you’re interested, you’ll need to volunteer by Friday to be a part of the committee. Representatives from all areas of Sooke are needed, so go ahead and have your voice heard! Click here to visit the relevant page on the Council website. Q. I hear the terms “strata property,” “strata fee,” and “strata council” all the time when looking through listings and talking to real estate people. What exactly does strata mean? A. Strata properties are just another type of property ownership. It’s a legal concept for dividing up a large property such as a condominium project into individual units that individual owners can own. Typically, a strata property will be either a condominium, townhouse, or bareland strata. When you buy a strata property, you become a member of that project’s strata corporation, along with the other owners in the building. The strata corporation elects a strata council, which makes decisions and handles things like by-law enforcement, record-keeping, paying the common bills, and so on. Strata corporations are operated much the same as non-profit societies in this way. A strata property is divided up into three types of property. There is the strata lot (SL), which is the unit that an individual can own; the actual townhouse or condo. There is common property (CP), which each owner in the strata corporation owns a proportion of, depending on the size of their strata lots. This would include things like the driveway, exterior of the building including the roof and exterior walls, hallways, elevators, and so on. Basically everything outside of the interior walls of the condo or townhouse. Finally, there is limited common property (LCP), which is common property designated for the exclusive use of an individual unit. For example, balconies are almost always LCP, and a parking space for a unit will often be LCP, especially in older stratas. Strata fees are charged to each owner to cover the common expenses like heating the common areas, cleaning, maintenance, water, sewer, insurance, and so on. 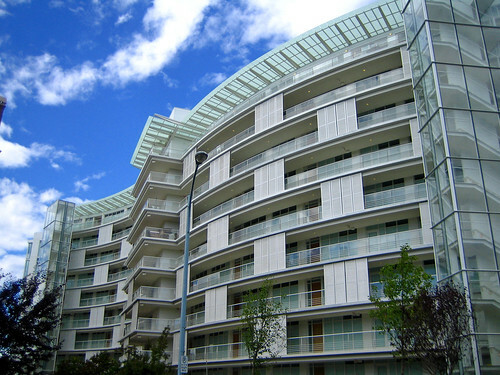 Strata owners are responsible to pay the strata fees (usually, once a month) levied to their strata lot. The amount each owner pays varies depending on their unit entitlement. Unit entitlement is a fancy way of saying the size of their strata lot in proportion to the other lots in the building or complex. So, the bigger in square footage you go, the more you can expect to pay in strata fees compared to smaller units in the same complex. Strata fees really to vary from property to property in Victoria and Sooke. I would budget about $200-$275 for a two-bedroom condo, and $100-$150 for a one-bedroom. I’ve rarely seen a monthly strata fee over $300 for either a townhouse or condo in Victoria or Sooke. When buying into a strata corporation, you will be given the opportunity to read over records of all the meetings, letters, and financial statements from the last couple of years. You will also have a chance to read over the by-laws, to make sure they fit with your lifestyle. Many condominiums in Fairfield, for example, do not allow pets. Several others have an age by-law which restricts the units to those aged 19, 55, or even 65 and over. Some complexes allow rentals, and some do not, which is something to keep in mind, also. All of this discussion about stratas has pushed me to start writing a new section on this blog focusing on strata issues. So, now we’ll have FTB Fridays, and Strata Saturdays Mondays (sorry, can’t guarantee writing on a Saturday!). For detailed information about British Columbia’s Strata Property Act, have a look at the Government of BC Website. Thanks for reading! If you have any questions on buying your first or fiftieth home, I’d be happy to help. Call me any time direct at 250-885-0512 or e-mail me at Tim@TimAyres.ca. Are Sooke’s Seaview Trailer Park Residents Still In Peril? Since I first posted about the plight of the residents of the Seaview Mobile Home Park in Sooke, I’ve had quite the response from residents of the park and observers of the situation. I even had a comment the other day that was so defamatory that I was afraid to post it and I deleted it. Libel and slander are not why I started a blog. It’s understandable – this is human drama in the purest form. A disadvantaged group of tenants at the mercy of a landlord. These struggles have gone on for centuries and always cause emotions to run high. I am honoured that the residents are choosing my blog as a forum to express their comments, and I thank the two residents of the park that have taken the time to e-mail me to update the situation. Ever since I wrote last week about Sooke Council passing the mobile home park resident protection bylaw, I wondered how it would affect Seaview, since they were given the eviction notice before the bylaw was passed. I feared that if the eviction notice was lawful, the residents would be forced to leave. I got an e-mail yesterday from a resident of the park who informed me that the residents are disputing the eviction on the grounds that it was illegally served. This person further stated that even if the eviction notice is valid, that the landlord will have to relocate or buy up the units at fair market value. It would appear then that the District of Sooke’s new policy will apply to the residents, which is some good news. I will keep updating as I get more information. Your comments are always appreciated, and can be left below this post or by clicking on the big red comment link. Last night, at the Sooke Council Chambers, the owners of the not-so-mobile homes in Sooke’s Seaview Trailer Park breathed a sigh of relief as Sooke Council unanimously passed the proposed policy on mobile home park redevelopments. The policy protects mobile home owners by requiring the owner of the park to either compensate the owners for the fair market value of their homes or relocate the home to another pad before redevelopment will be permitted. The Council also gave a legal opinion that the eviction notice served to the owners was in fact illegal (probably due to the fact that it stated that all municipal approvals were in place for redevelopment, which was untrue). One park resident has been in e-mail contact with me and tells me that the owners have a court date in November to challenge the eviction notice. Stay tuned for updates. Not long after re-directing the old http://district.sooke.bc.ca website to http://Sooke.ca a year or so ago, the District of Sooke embarked on a re-design project for the tired-looking (and content-lacking) site. Earlier this month, the newly-designed Sooke District Web Site was launched. The new design looks great, and has an intuitive layout including a search box, with west coast inspired colours and lots of pictures on the front page. Although the basic content hasn’t changed a whole lot, I’m sure with a modern interface it will be easier for District of Sooke staff to add things like council minutes and agendas, election info, and bylaws. There is a great section on Sooke history, and a Sooke photo gallery which includes local photography of Sooke beaches, Sooke wildlife, flowers, and even historical photos from Sooke’s past. Bravo to the District staff for improving an important information resource for residents, businesses, and visitors alike. NOTICE: Don't Buy This Condo! One of the most popular forms of property ownership in the marketplace today is strata titled property. To most, this means a condominium unit, townhouse, or 1/2 duplex. Strata property is a way of dividing up one large building (for example, a condominium complex) into individual titles (the units inside the building) so that they can be owned independently of one another. A strata unit typically consists of everything inside the exterior walls and dividing walls of a particular unit in a building. Also, each strata unit owner is allocated a proportional share (depending on unit size) of the common property of the development. Typically, this includes the exterior walls, roof, driveways, parking areas, amenities like swimming pools, etc. Everyone shares in the maintenance and repairs of these assets, coming out of funds raised by paying monthly strata fees. Every strata council is different. Some are very strict, some are very relaxed. Some are proactive, and ensure maintenance is done and necessary monies are spent to keep the building sparkling like new. Others are not, and allow the building to fall into disrepair, necessitating large special levies to repair things when they finally become unserviceable. I was showing a condo to a buyer not long ago. I had heard good things about the building, that the owners and council were very proactive and up-to-date on repairs and maintenance. It showed when we pulled up to the building. The landscaping was neatly groomed, the front door was clean and free of fingerprints and grime, the lobby was spotless and I noticed that the 80’s-era building had had a recent makeover with new light fixtures, carpets, and paint. We all know that there have been several undesirable individuals who have been hanging around our building. It has been made aware to Council that several of these people are HIV positive, and thus hepatitis must also be a concern. DO NOT APPROACH THESE INDIVIDUALS! Call 911 if you are approached! Naturally, my buyer was turned off instantly and I was quite embarrassed. If you lived in the building, would you want the first impression of your home to be a place that “undesirables” frequent when your friends and family arrive? What if you were the seller of this particular unit? Or his or her agent? Would you want this to be the first impression a potential buyer has? While it was good of the council to inform the residents of the building about these problematic people, a public notice is not the place for it! A letter under the door of each unit would get the message across more discretely and would guarantee that every resident received the warning. Often these issues can be brought to the attention of the overzealous council without drama or incident. Remember, the council members are owners too, and likely want to preserve their best interests as well. Live in a strata? What’s your council like? Comment below! NOTICE: Don’t Buy This Condo!